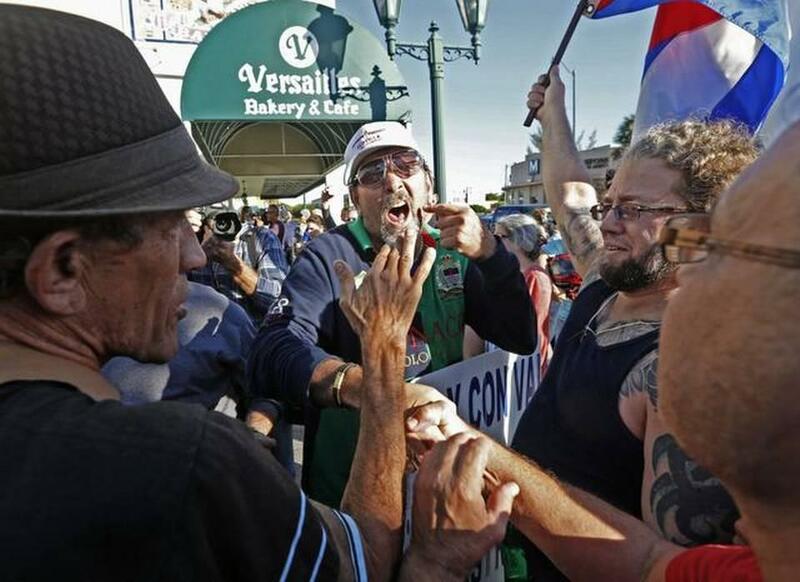 Lazaro Lozano, center, protests against President Obama's decision to normalize relations between Cuba and the United States while at Versailles Restaurant on Calle Ocho in Miami on Wednesday, Dec. 17, 2014. But many other cheered the move. They argued the embargo wasn't working, and the only people being punished were regular Cubans -- and not the country's leadership. 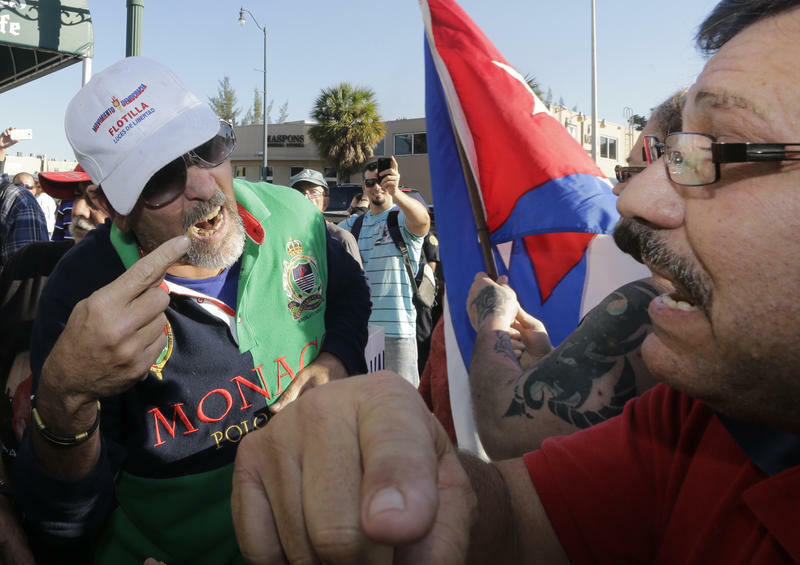 Many also took to social media to speculate what the Cuba announcement would mean for the country and the rest of Latin America. Tonight at 6 p.m., WLRN-Miami Herald News will host an hour-long special program on President Obama's announcement regarding normalizing diplomatic relations with Cuba. You can participate in the live chat below and listen live on 91.3 FM, WLRN.org, the official WLRN app in the App Store, or by listening to the show through iTunes.